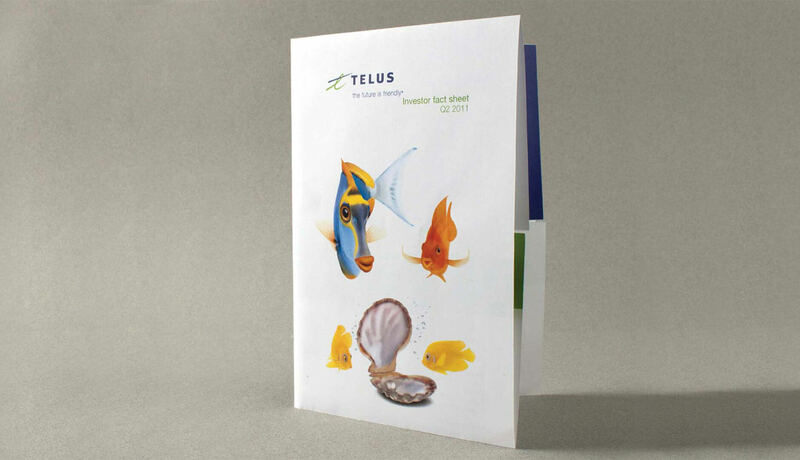 Following the theme of the Telus brand, this Telus Investor Fact Sheet for the second quarter of 2011 was produced in English and French. 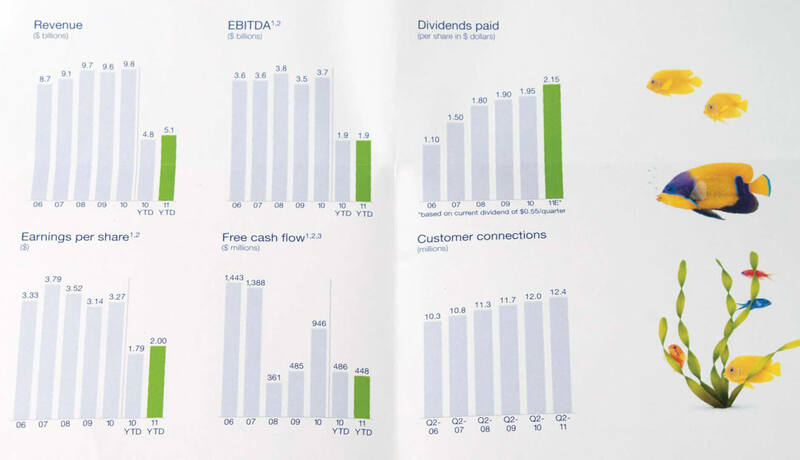 The English version is shown in the photographs. 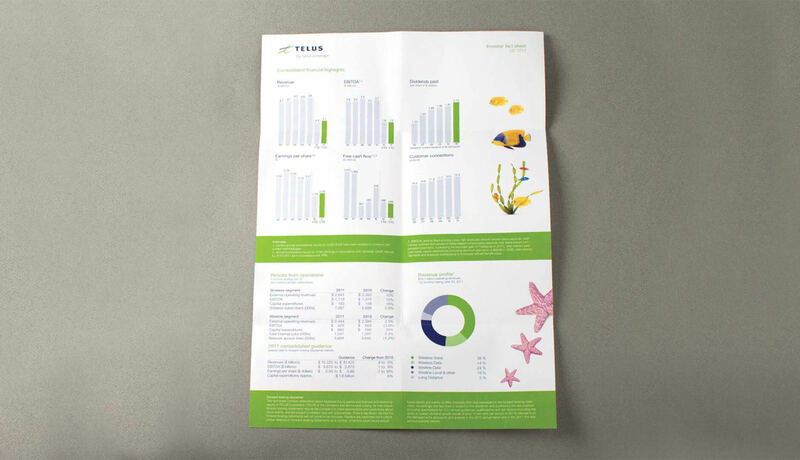 The Telus Investor Fact Sheets layout was done in such a manner that all investor information was in a single field of vision to create a better user experience. 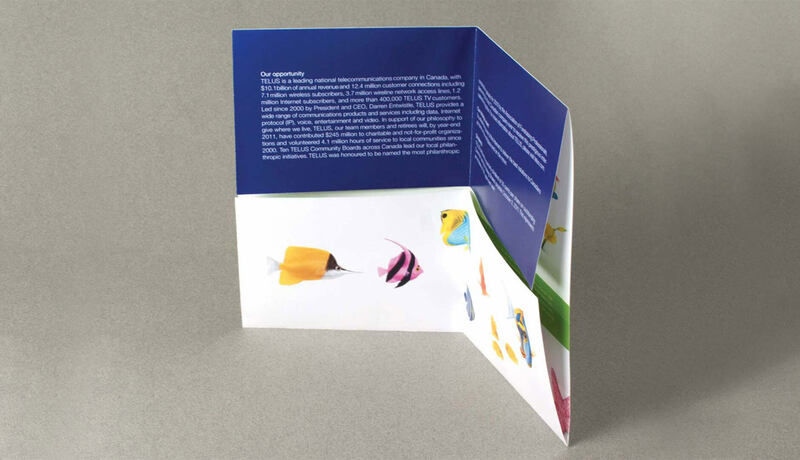 The animal theme for this entire piece is Marine and Aquatic Life. 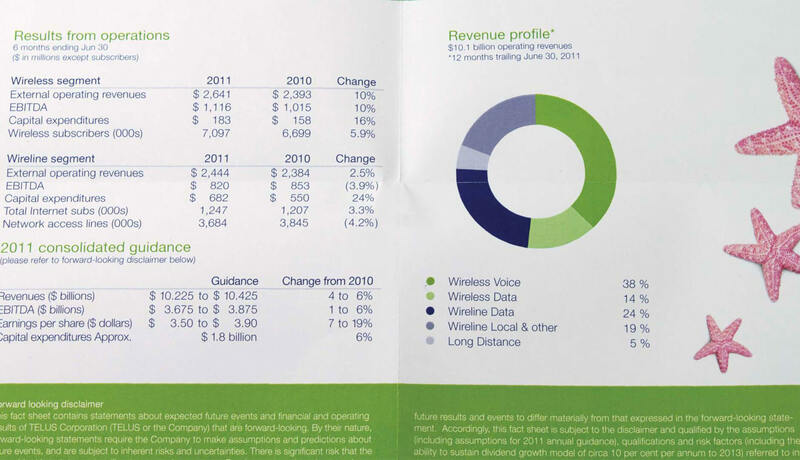 Special attention was made to the spacing of graphs, and the alignment of information.